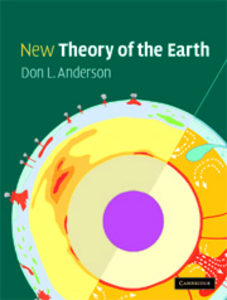 New Theory of the Earth is an interdisciplinary advanced textbook on all aspects of the interior of the Earth and its origin, composition, and evolution: geophysics, geochemistry, dynamics, convection, mineralogy, volcanism, energetics and thermal history. This is the only book on the whole landscape of deep Earth processes that ties together all the strands of the subdisciplines. 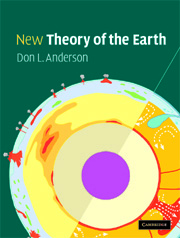 This book is a complete update of Anderson’s Theory of the Earth (1989). It includes dozens of new figures and tables. A novel referencing system using Googlets is introduced that allows immediate access to supplementary material via the internet. There are new sections on tomography, self-organization, and new approaches to plate tectonics. The paradigm/paradox approach to developing new theories is developed, and controversies and contradictions have been brought more center-stage. As with the Theory of the Earth, this new edition will prove to be a stimulating textbook for advanced courses in geophysics, geochemistry, and planetary science, and a supplementary textbook on a wide range of other advanced Earth science courses. It will also be an essential reference and resource for all researchers in the solid Earth sciences. © Cambridge University Press 2007. Galley proofs. You are granted permission for individual, educational, research and non-commercial use of this work in any format.